The Bowling Green Hot Rods tallied just one hit in a 4-0 lossto Lake County. Left-handed pitcher C. J. Riefenhauser took the loss after surrendering three runs on six hits in five and one-third innings. 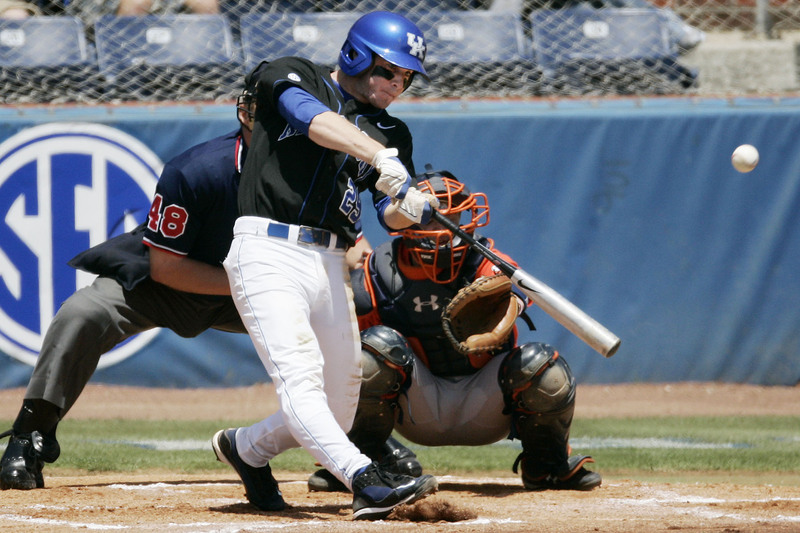 Former UK infielder Chris Bisson was 3-4 with one home run, one RBI and one run scored for low A Fort Wayne. Richmond native and former UK outfielder Keenan Wiley was 2-3 an has multiple hits in three straight games for high A Lynchburg. Hawesville native and former WKU infielder Wade Gaynor slugged his third home run of the season for high A Lakeland. Paducah native Daniel Webb earned his third consecutive winafter surrendering two runs on five hits in five and one-third innings while striking out eight batters and walking one in a start for low A Lansing.